There’s no doubt that 2006 was a great year for green building—at least in terms of PR. Interest in environmentally sensitive building products and techniques, from solar roof panels to fly-ash-concrete foundations, has leapt from the specialized pages of design magazines and Mother Earth News into mainstream forums like the New York Times and Harvard Business Review. 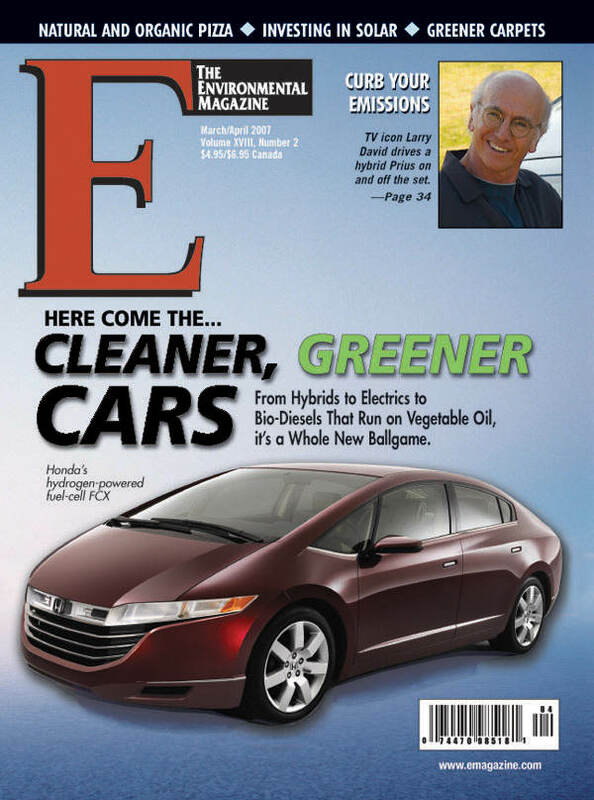 E covered the rise of green building in "Buildings That Breathe" (January/February 2007). Energy efficient "green" homes like this one in Vermont are still a tiny pecentage of the housing market.© PETER SCHNIEDER, VERMONT ENERGY INVESTMENT CORP. The National Association of Home Builders (NAHB), an industry group for American residential builders, has added to the clamor with a report on green building, produced in conjunction with McGraw-Hill and based on a survey of NAHB members. Early 2007, the report projects, will be a "tipping point," in which more than 50 percent of American home builders will participate in green building. But the figures may not be quite as impressive as they sound. Fifty percent of builders is not equivalent to 50 percent of houses. In 2005, only two percent of homes were built green, according to the report; by 2010, it anticipates that figure will rise between five and 10 percent. And there is still no standard for "green" building. Most such construction is self-reported. Only three percent out of those two percent of homes reported to be built green were certified green by a third party, says John Ritterpusch, director of the NAHB’s green building program. That works out to 0.06 percent of the 2005 market.There are dozens of third-party certification programs, mostly local, which score construction across a mix of environmental factors, from site selection to energy efficiency. But some local certifiers aren’t aggressive enough, contends Jay Hall, lead consultant to the U.S. Green Building Council’s pilot Leadership in Energy and Environmental Design for Homes program—by all accounts, one of the country’s most demanding. "They’re giving builders credit for things that are common sense, that they should be doing already, if they’re not required" by local code, he says, citing as an example erosion control during construction. Hall hopes LEED for Homes will become a national, "industry consensus" standard. Meanwhile, builders are scrambling to understand all the new expectations. "It takes a long time for the industry to come around," says Jim Chapman, president of Legend Homes, a builder in Portland, Oregon who has built dozens of homes to the local "Earth Advantage" standard. But Chapman thinks buyer demand will make the trend irreversible. "We feel it’s inevitable," he says. "The market will force it there."